Yoga upstairs, cardio downstairs. Transition a part of the house into a home gym. 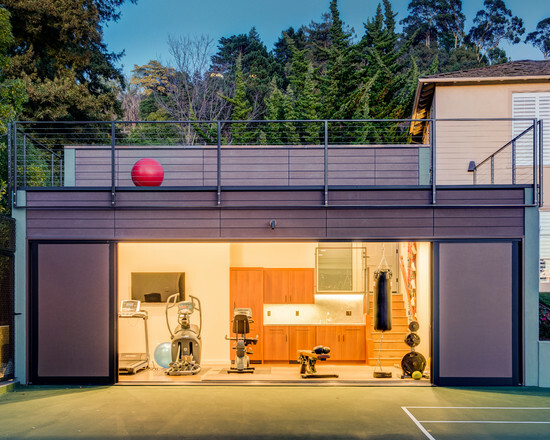 This home gym features outdoor and indoor space.